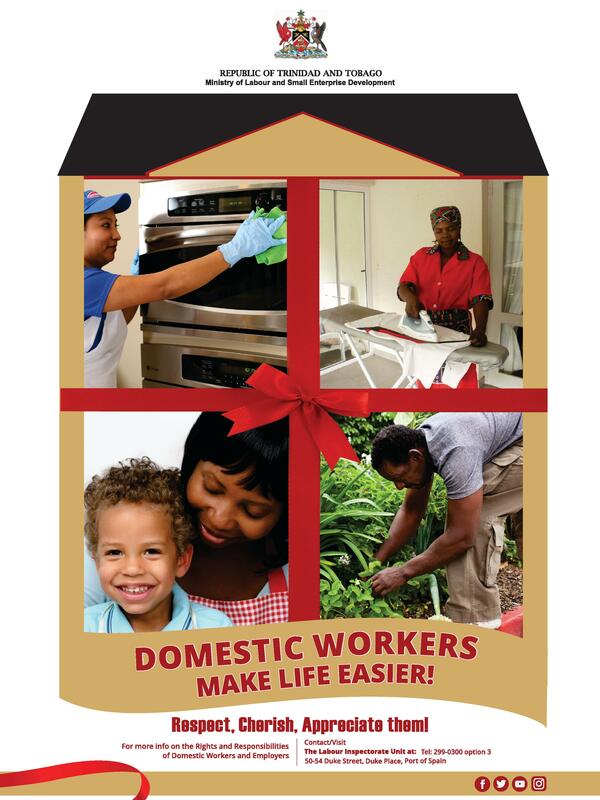 Last November the Corporate Communications Unit of the Ministry of Labour and Small and Enterprise Development launched a Domestic Workers Campaign in the form of radio advertisements which ran the course of the Christmas period in 2016. To continue the conversation, the Ministry of Labour - Corporate Communications Unit produced four video testimonial featuring domestic workers and domestic work. Domestic Work is work performed in or for a household(s) and may include cleaning, cooking, washing and ironing, taking care of children, elderly or sick members of a family as well as household pets, gardening, guarding the house and driving for the family. 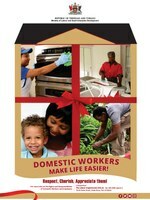 Domestic Employees play a major role in many families across Trinidad and Tobago. They deserve to be Respected. Cherished and Appreciated!